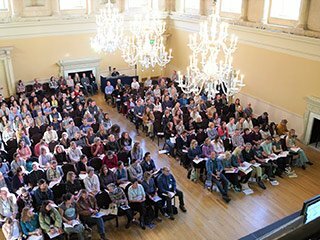 Aimed at small animal vets and vet nurses, the must-attend CPD event of the year, VetCPD Congress returns, to the Bath Assembly Rooms on the 20- 21st September 2018. Bath is the only destination in the UK to have the whole city designated a World Heritage site by UNESCO. The City offers a unique backdrop with great shops and restaurants and the UK’s only naturally heated hot water spa! Early bird ticket offers for the event will be drawing to a close at the end of May. Now’s the time to take advantage of these special prices before they rise in June. This two-day event will see an extensive series of world-class CPD lectures on offer and the chance to do 14 hours CPD over the two days. Last year’s delegates praised the speakers’ expertise in their subject areas and interactive presentations, which enabled them to take away very useful and practical CPD knowledge, as well as helpful advice for them to put into practice into their everyday working lives in general veterinary practice. Previous attendees also commented on the useful networking opportunity that the event provided, with the chance to meet fellow professionals within the veterinary industry, as well as to view some of the different veterinary services that were exhibited there. Early-bird tickets are available priced at £154 +VAT for a one-day pass or £269 +Vat for a two-day pass. The networking opportunity extends beyond the event, as there will also be a delicious VetCPD Congress dinner available with entertainment at a local restaurant on Thursday 20th September for £49 +VAT (inc wine and 3 course meal).